To commemorate the great martyrdom (Shaheedi) of Sahib Sri Guru Arjan Dev Ji Maharaj, a CHHABEEL will be arranged by residents of Sector-8, Dwarka, New Delhi near Queen’s Valley School, Sector-8, Dwarka on Wednesday, the 8th June, 2016 from 9:00 A.M. onwards. In which cold sweet milk water will be distributed throughout the day. 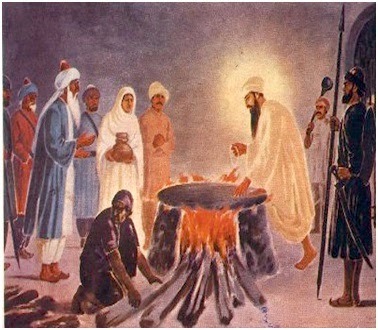 Guru Sahib ji sacrificed his life to uphold the fundamental right to equality, justice, freedom and religion. All the residents of Dwarka Sub-City are cordially invited to participate and requested to do the Sewa.